This is why many cults, religions and pseudo-therapeutic fads prey on the weak, depressed, down-and-outs and those who have recently experienced catastrophe. Such people are more likely to try new religions7. The solution is to be more cognizant of Human thinking errors. Cause and effect must be analyzed statistically, carefully, and by (social) scientists who know how to discount confounding factors. Simply put: do not assume that some action or event causes a change in the frequency of another event without investigating it properly; no matter how much it goes against common-sense to deny the correlation, cognitive thinking errors such as the regression fallacy can easily lead us to false conclusions based on limited data. If you pick cards randomly from a pack (perhaps, the lower value of the card, the less likely we are to win the game), when we pick a low card it is likely to be followed by a higher card. When we pick a few low cards in a row, we are equally likely to pick a higher card next time. If, when we have picked a series of low cards, we perform some action (such as putting on a hat), we can mistakenly attribute the ending of the losing streak to the fact that we just put on a hat. On average, things return to the normal, and with a series of results this is called the regression to average. The social psychologist David Myers explains that "when things reach a low point, we will try anything, and whatever we try - going to a psychotherapist, starting a new diet-exercise plan, reading a self-help book - is more likely to be followed by improvement than by further deterioration"2, and this statistical naïvety often leads people into thinking some supernatural 'luck' or religious 'reward' has taken place. This explains why a conversion to a new religion when done at a low point in one's life, often leads to an improvement. The same with making sacrifices to a new god, or praying harder than normal; if done during desperate times (such as during drought, alcoholism or financial ruin), the chances are things will get better simply because the law of regression takes effect, but in practice many would mistakenly attribute their reversed fortunes to their new supernatural affiliation. This would explain why many cults and religions prey on the weak, depressed, down-and-outs and those who have recently experienced catastrophe. Such people are more likely to try new religions7. The Synagogue Church of All Nations (SCOAN) is one example Christian faith-healing church, finding support amongst the poor, ill-educated and desperate victims of cancers and AIDS (click for more on SCOAN). It is amongst these people that they find recruits are most likely to attribute their recovery to the religion, and therefore such people tend to cling to their new religion harder than others who would be tempted to judge the religion on more openly rational grounds. 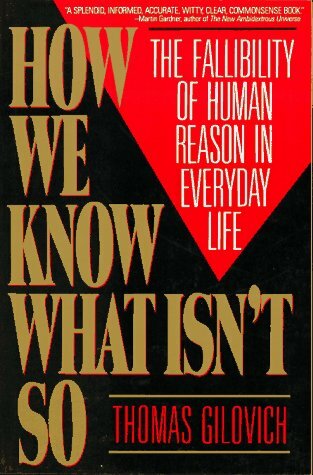 "How We Know What Isn't So: The Fallibility of Human Reason in Everyday Life"
It must be clear that a great many erroneous conclusions can arise from the regression fallacy. Any wild and zany remedy may appear to work if it is attempted during a low point, and, the resultant beliefs can drive a person's beliefs far away from reality. 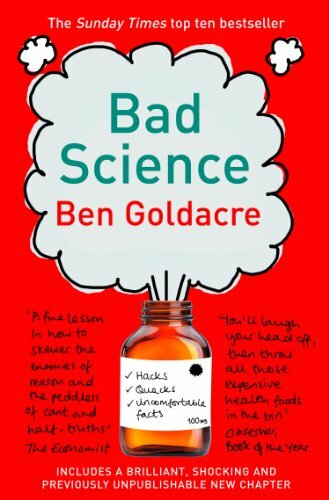 Superstitions, magical practices, religious beliefs and pseudoscience can all result from beliefs drawn from small-scale experiments in our personal lives. The faulty belief that the intervention led to the regression of the number of deaths back towards the average can easily reinforce the whole community's belief system because the regression fallacy was not recognized. In such an environment, where people expect certain results, no critical thinking is applied. The Rabbis should have enforced their solution in half the land, and compared the regression rates from the control area to the "remedied" area. They would have found that average deaths decreased in both and if they done enough tests, that the death rate was not connected to the gender of funeral attendees. I can imagine the same innocent-seeming mistakes of reasoning effecting entire societies' beliefs. At low points in peoples' lives, things are likely to get better by chance. Yet, if a person prays to a God when things go bad, it will appear to them that the prayer was effective. Such a belief is then reinforced as they consciously seek to pray at any low-point. Failing to recognize such regression can cause and support many superstitions, and leads to belief in many nonsensical things such as curses, streaks of 'good luck' or 'bad luck' being associated with various random omens, signs, portents and rituals, etc.